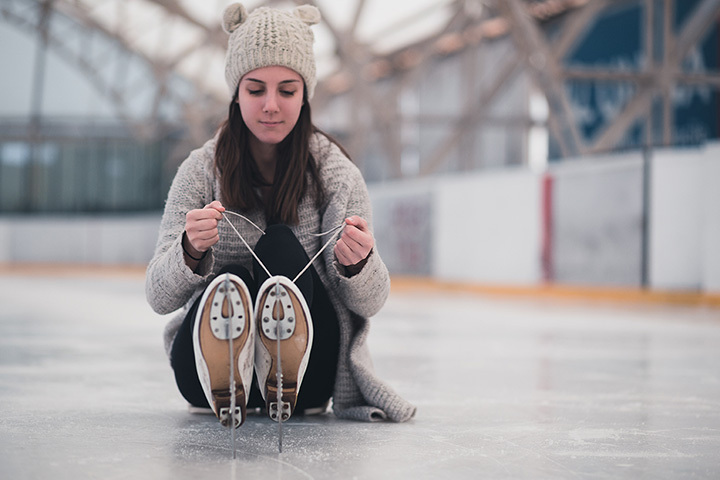 10 Best Ice Skating Rinks in Arizona! When you think of Arizona in the winter, you don’t exactly imagine an environment suitable for ice skating. Despite not having wintery conditions like the Midwest or our friendly neighbors up north, we Arizonans have figured out a way to beat the system. With indoor ice rink facilities constructed across the state, you can still step inside a wintery wonderland in the desert. So, it’s time to lace up the skates and show off your skills in the Grand Canyon State’s 10 best ice skating rinks. The Ice Den in Scottsdale is the official practice facility for the Arizona Coyotes. USA Today has repeatedly ranked this skating facility as one of the top 10 in the country—and it's easy to see why. This 150,000-square-foot facility is home to the largest adult and youth hockey programs in Arizona. It also has one of the largest “Learn to Skate” programs in the country. They offer daily public skating and even host $5 Friday night sessions. Oceanside isn't a term one would usually equate with Arizona. This ice rink's moniker stems from its location near the Big Surf Waterpark in Tempe. Oceanside has been home to the Desert Youth Hockey Association since 1975 and the Arizona State University hockey program since 1985. This 36,000-square-foot facility is still home to 14 youth travel hockey and Oceanside's Adult Hockey League comprised of 34 teams and three weekly classes. This ice skating rink hosts hockey leagues, figure skating sessions and “Learn to Skate” programs. Through Little Howlers Hockey, AZ Ice Arcadia offers free on-ice youth hockey programs for kids ages 4-8. Public skating is available in the mornings, midday, and evenings. It's also home to the Ice House Tavern—a hockey bar with a full view of the ice rink. The bar has live music, an impressive beer selection, and TVs featuring NHL & NFL packages. Peoria's AZ Ice location is a family-friendly establishment that hosts private parties, events, and birthday parties. In addition to the Little Howlers program, this rink has free skating lessons every Saturday morning and Wednesday evening. Public skating is available every morning and afternoon and they also hold 60-minute freestyle sessions for figure skaters. Many beginners flock to AZ Ice in Gilbert in hopes to improve their skating. They have “Learn to Skate” classes with adult and teen curriculum and U.S. Figure Skating Basic Skills Program. The rink has programs for adult and youth hockey leagues as well as pick up hockey games. For the casual skater, open skating is available twice per day. The Ice Den expanded in 2014 by acquiring Polar Ice and rebranding as the Ice Den Chandler. This location has two skating rinks and two-hour public skating sessions run frequently. There are also programs for hockey players and figure skaters, as well as a pro shop with skating equipment and apparel. "The Jay" is the only ice rink in Flagstaff. Many locals come to the rink to cheer on the NAU Ice Jacks throughout their season. The premises were rebuilt several years ago after a roof collapse thanks to funding through public donations. They offer public skate sessions, open hockey, adult only skate and a private party room. Yes, Phoenix has outdoor skating rinks. Every year during the holidays, downtown CityScape transforms by adding CitySkate—an outdoor holiday ice rink. The ice rink surrounds a 36-foot-tall Christmas tree in the middle of a downtown development. Public skating sessions are held twice per day Monday-Thursday and three times per day Friday-Sunday. Santa makes frequent appearances for a perfect photo opportunity for the family. The Desert Ice Skating Rink is a 6,000 square-foot destination where skaters can take part in a holiday tradition. Hosted by the Fairmont Scottsdale Princess, this outdoor skating rink pops up every winter and offers a unique skating experience. Cacti, palm trees, and other desert staples surround the rink. The setting and Scottsdale landscape makes this rink a rare and beautiful find. Skate Westgate is an annual outdoors ice rink located on the west side of the Valley. Westgate Entertainment District is home to various shops and restaurants and is adjacent to the Arizona Coyotes and Arizona Cardinals home stadiums. Each winter, it transforms into a spectacle with decorations and holiday lights put on display. All skill levels are welcome to join in the open skating sessions. View more Arizona Ice Skating Rinks.